Tune inn to The Rasta Vibration Show tonight!!! We have a lot of new tunes dropping tonight and we will drop tracks off of the grammy nominated album “Everlasting” from Raging Fyah…. 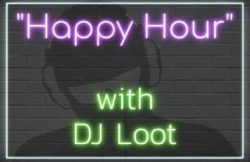 It all goes down with Dj Irie Selecta 7-10pm(pst) on www.fccfreeradio.com Live in Studio 1A!